Rigid phenolic construction with a black satin finish. * Mobile straightedge affords frictionless operation through the floating action of the nylon rollers mounted on the blade. 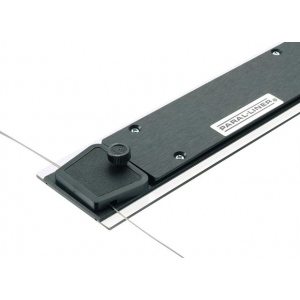 * The rollers retract at a touch securing the blade for accurate drawing. * Acrylic edges are elevated to prevent ink smears and steel ball-bearing pulleys provide smooth movement. * Comes with all mounting hardware and installation instructions.